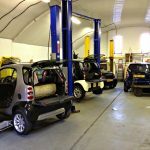 With no independent smart car specialist in Birmingham or the West Midlands, Smart-TECNIC was formed in 2010 with the intention of providing smart car owners in the region with the best specialist service and knowledge at ordinary prices. Since opening we have rapidly become the foremost name in central England and beyond for knowledge and expertise in smart Cars. 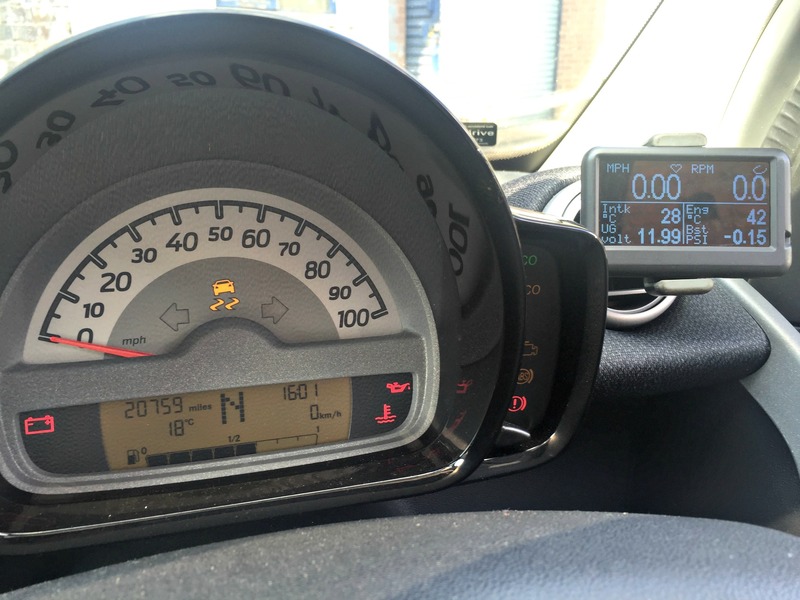 Smart-TECNIC can offer owners of all types of smart car all they need to keep their cars operating as the manufacturer intended without having to pay main dealer costs. 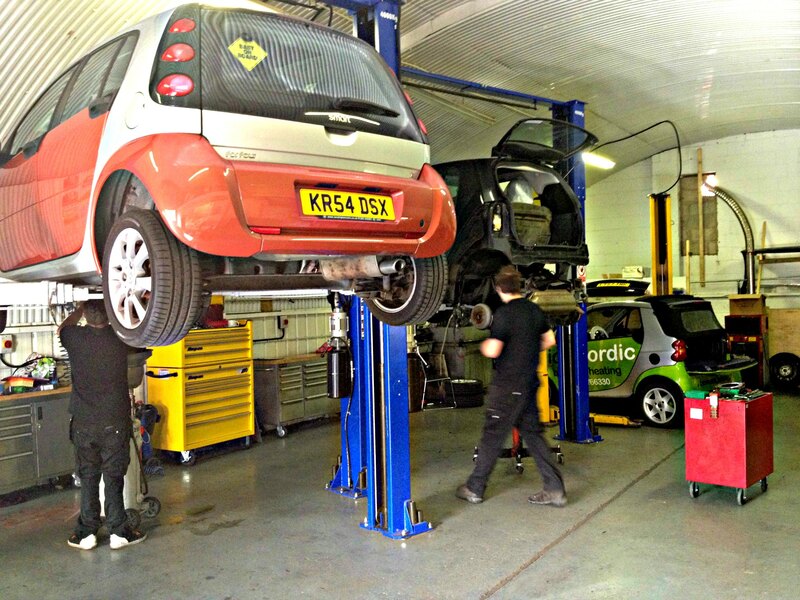 We carry out all aspects of maintenance, such as simple intermediate oil changes, servicing (to manufacturers specifications and scheduling), repairs and maintenance to all aspects of the car, including brakes, steering, suspension, exhausts, clutches and all the way up to full engine rebuilds. 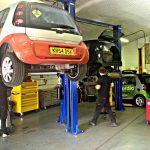 We are located conveniently in the heart of the UK’s second city where Mike, Geoff, Ben & Jack are friendly, knowledgeable and enthusiastic about smart cars. 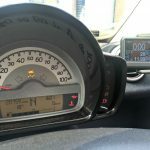 Here at Smart-TECNIC we are Smart car enthusiasts ourselves, we attend Smart Car events whenever we can or take part in motoring events with Smart cars, and we own several Smart cars between us. The current count (2018) is: a 450 cabrio, 450 diesel, 450 Crossblade, 451 Grandstyle, 452 Roadster, currently 3x 454 Forfours, and then not forgetting Froglet, our 450 with a 2 litre Toyota turbo engine in the back, developing about 240 bhp. At Smart-TECNIC we place great emphasis on honesty and clarity with our customers. Our good name and reputation are very important to us. 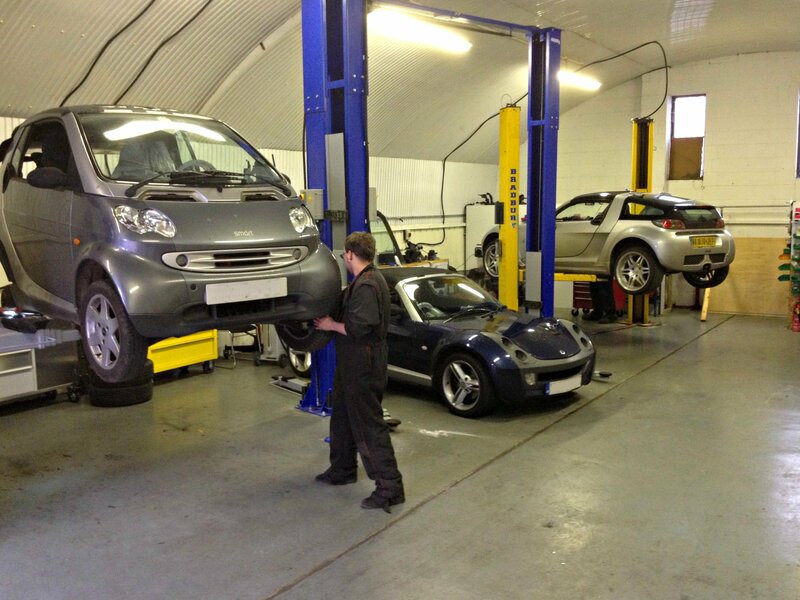 When servicing we use a service check-list tailored specifically for smart cars. This check list has been created by using our experience on smart cars and customers are welcome to a copy to confirm all the jobs are done. We can complete the Mercedes online Digital Service Book for the current generation cars. 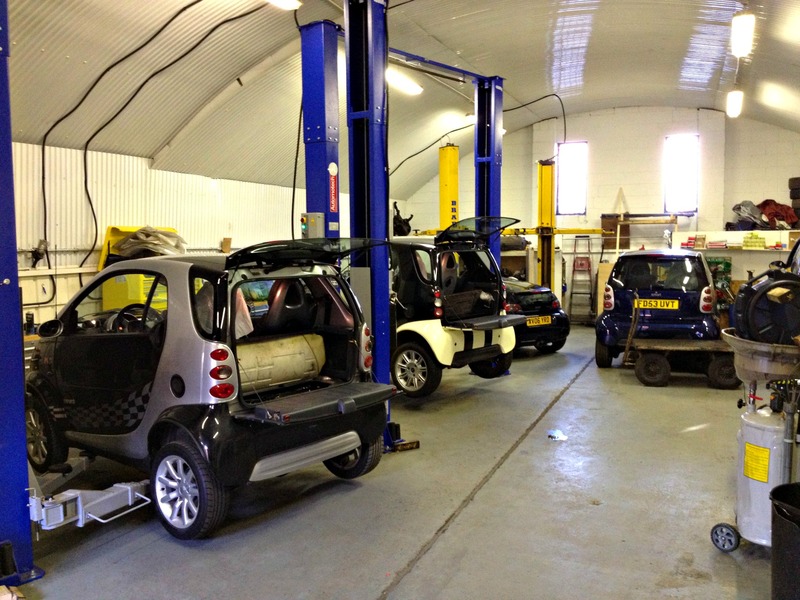 For information on pricing and for any further enquiries, or for any advice on Smart cars at all, please do not hesitate to contact us. We are always more than happy to help. Please telephone before calling in at our premises, as sometimes we are out and about delivering cars or collecting engine components etc. We don’t carry out work that has not been agreed: No unwanted items will appear on your bill. Parts that we replace are always available for inspection. We promise and guarantee honesty and clarity in all our dealings. Diagnostics using MB Star system from: £54 inc vat. Oil and filter change while you wait (must be pre-booked) £45 inc vat using high quality Mercedes-Benz Fully Synthetic 5w-40 oil to correct MB 229.3 or 229.5 specification (exactly the same oil used at the Mercedes-Benz dealerships). Timing chain replacement on First Generation 450 & 452 models from £510. Engine rebuilds on First Generation 450 & 452 models- two levels at either £995 or £1255. Please see our Engine Work page.